Haptic feedback is something commonly used with handheld controllers and the like. However, in a virtual reality environment, it could also be used with the other interface surface attached to your body: the VR headset itself. 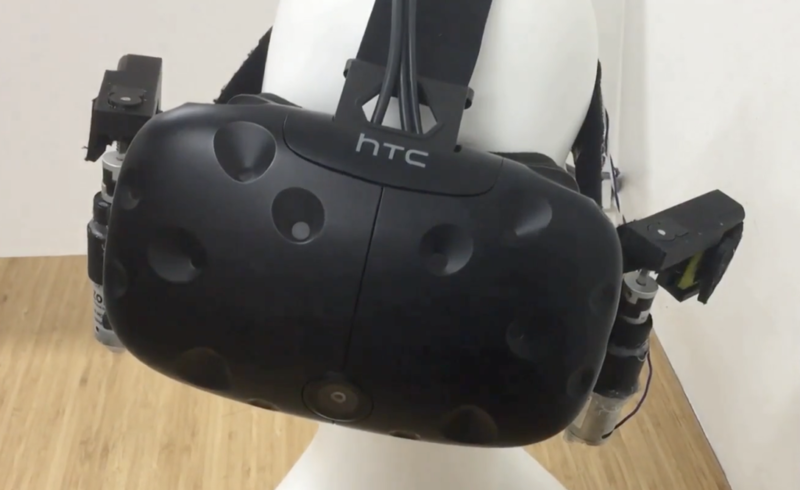 That’s the idea behind FacePush, which employs an Arduino Uno-powered pulley system to place tension on the straps of an HTC Vive headset. A corresponding pushing force is felt by the wearer through the headset in response to this action, creating yet another way to help immerse users in a virtual world. Applications tried so far include a boxing game, dive simulator, and 360-degree guidance You can check it out in a short demo below, and read more about it in the full research paper here.